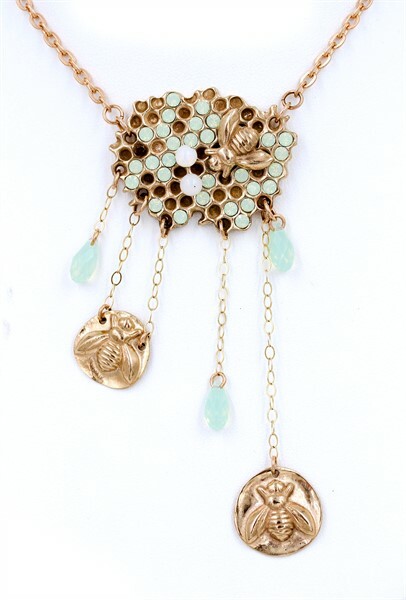 This stunning bronze honeycomb pendant features a gorgeous array of vintage pale green Swarovski crystals, two vintage Opal Swarovski crystals and three busy bee adornments to work the honey farm. This piece will have you saying "Oh, Honey!" for years to come.